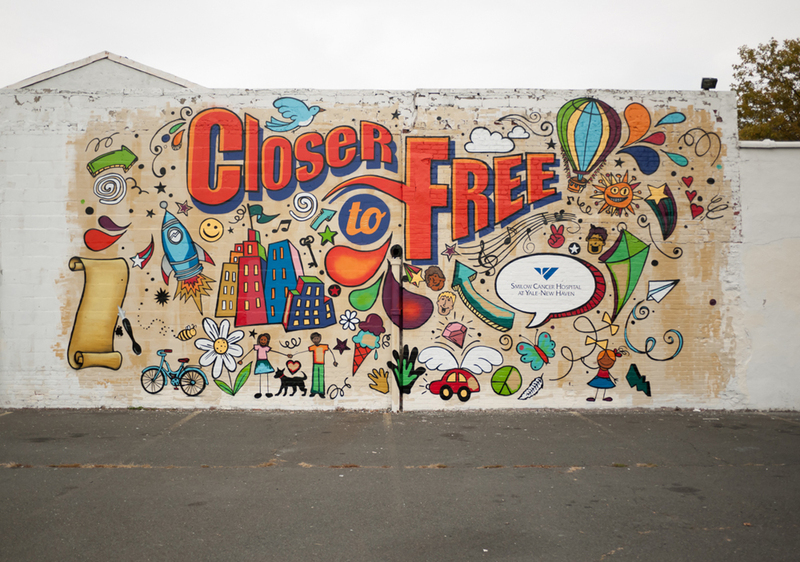 We received a request to help out with the production of a mural in New Haven, CT for the Yale Cancer Centers “Closer to Free” program, bringing inspiration and awareness to others in the fight against cancer. The end product was to be used in a TV commercial highlighting the hospitals program. The style was a little different than what we are used to painting, so it was a fun challenge to reproduce their provided artwork on a 30′ scale. 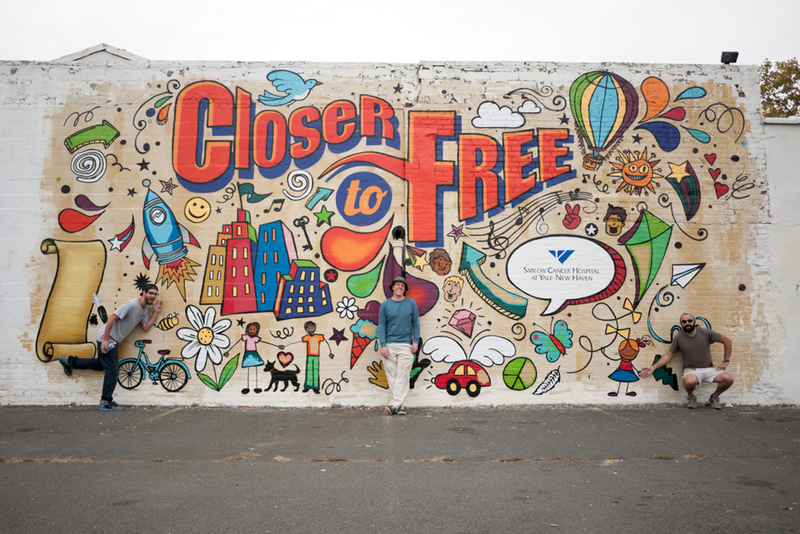 The end mural was left “unfinished” on purpose so the actual program participants, survivors themselves, could finish the mural while being filmed for a eventual TV commercial. Check out the 60 second spot below!